Giant customized transparent ball more and more be used as decoration, new style room space and in the show as well as mall promotion. Now is in great demand. 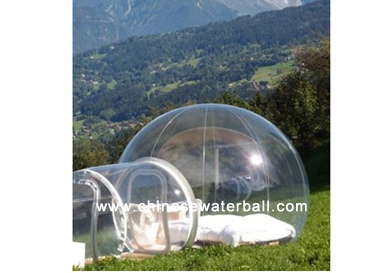 Transparent house, also used as transparent inflatable tent. Pic above: we finished the inflatable snow ball recently. Warranty 1 years for water ball. and we will send the manual of correct using for water ball and instruction of maintain water ball and the repair kit that all can help you longer life span of your water ball. You want to have your own design transparent show ball (color show ball, advertising ball,snow ball, globe ball or water ball)that only belongs to you? So hurry up, Please contact Kiki at sales2@aoteinflatable.com for further information.